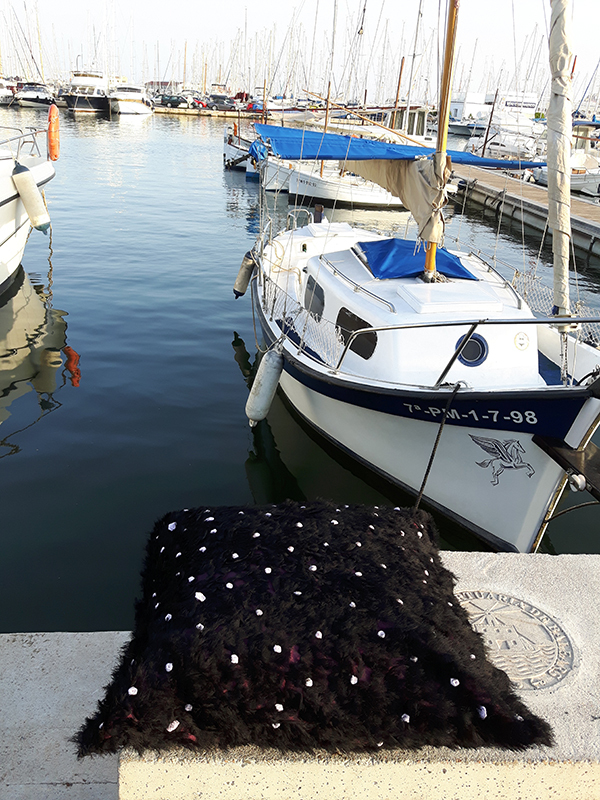 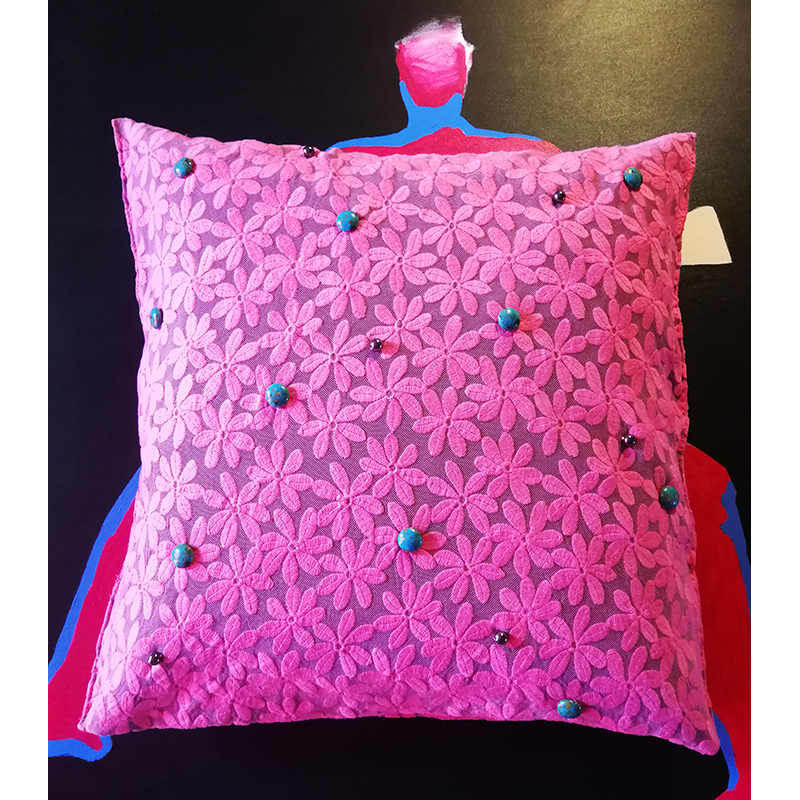 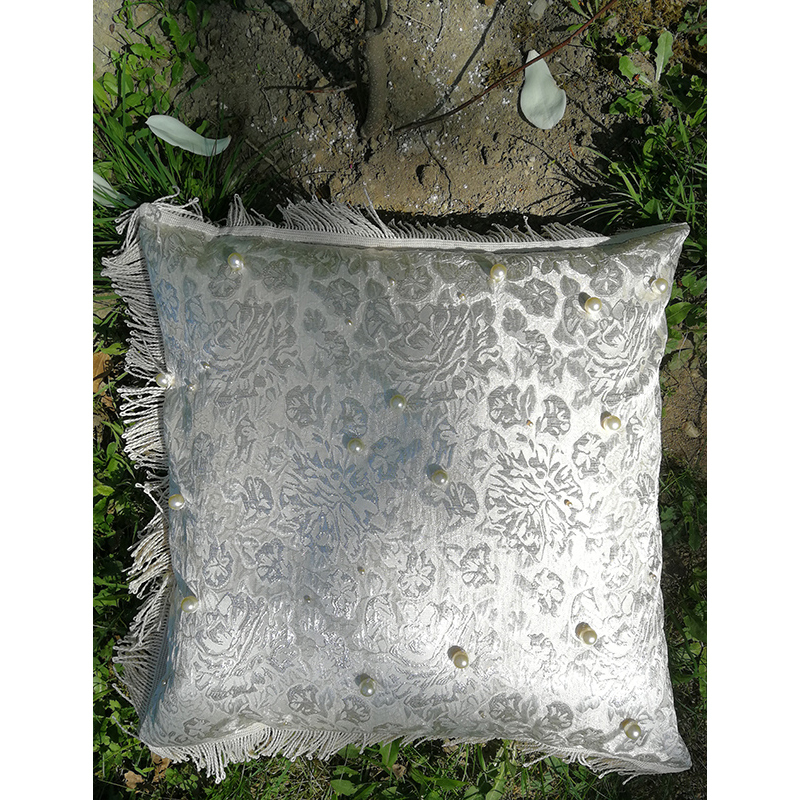 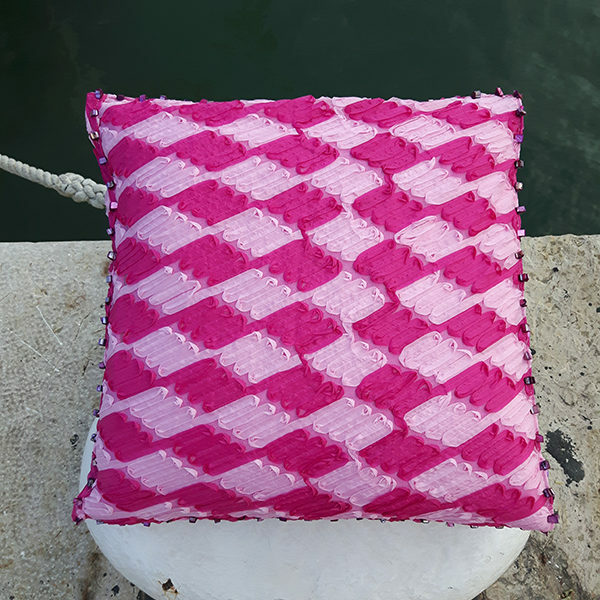 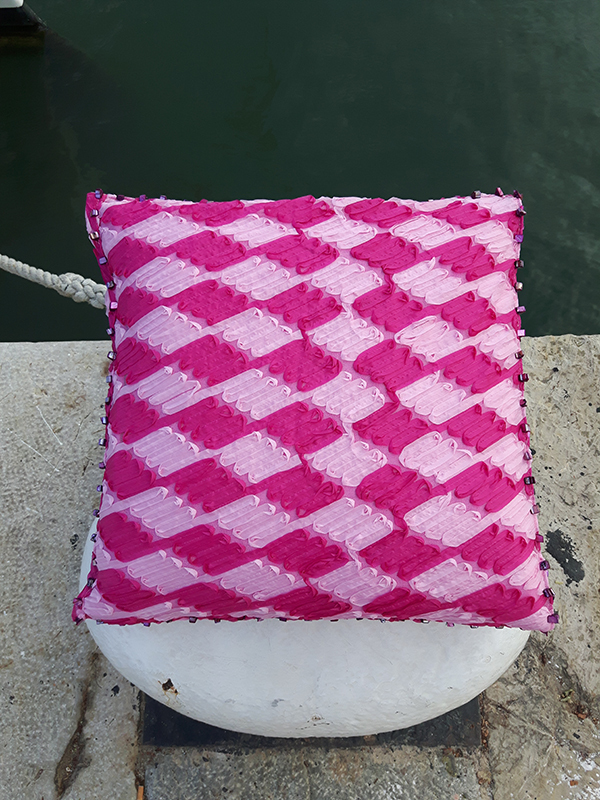 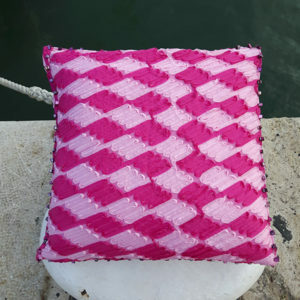 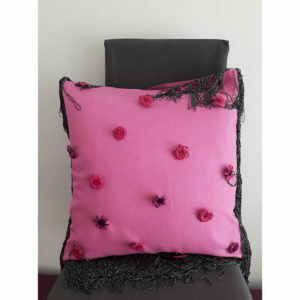 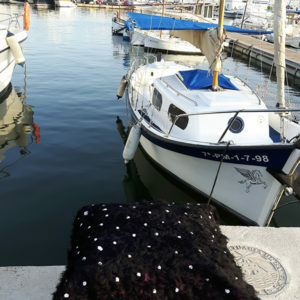 Decorative pillowcase with sea motif. 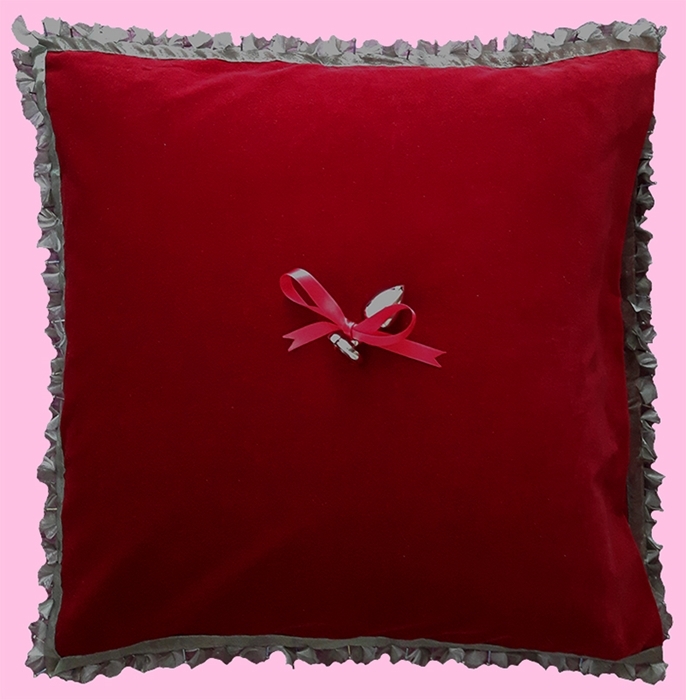 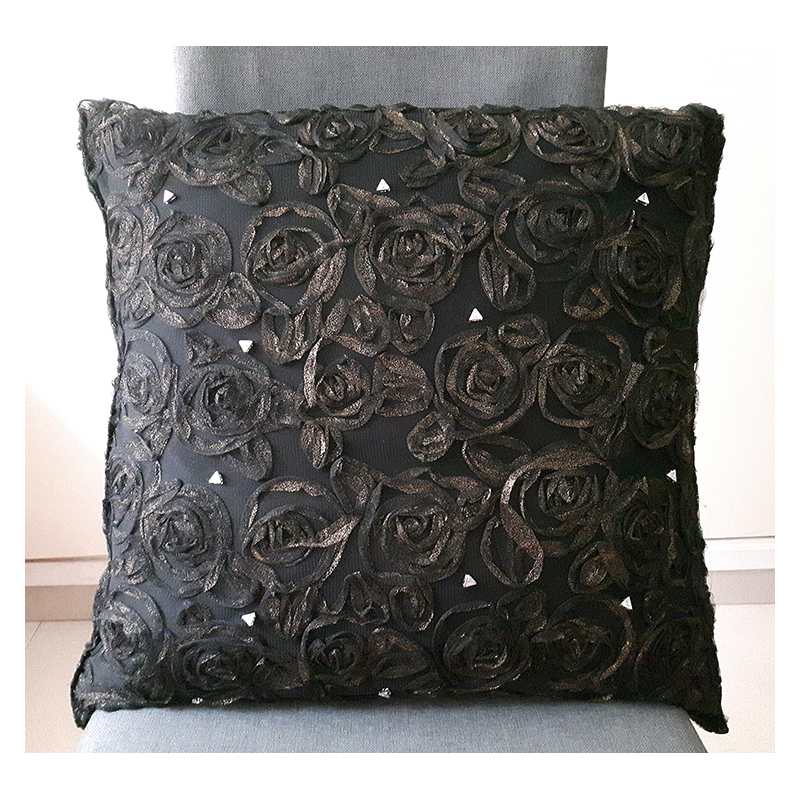 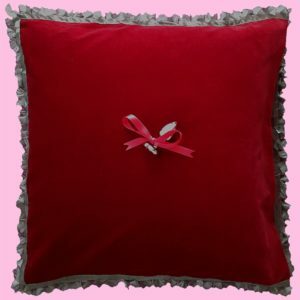 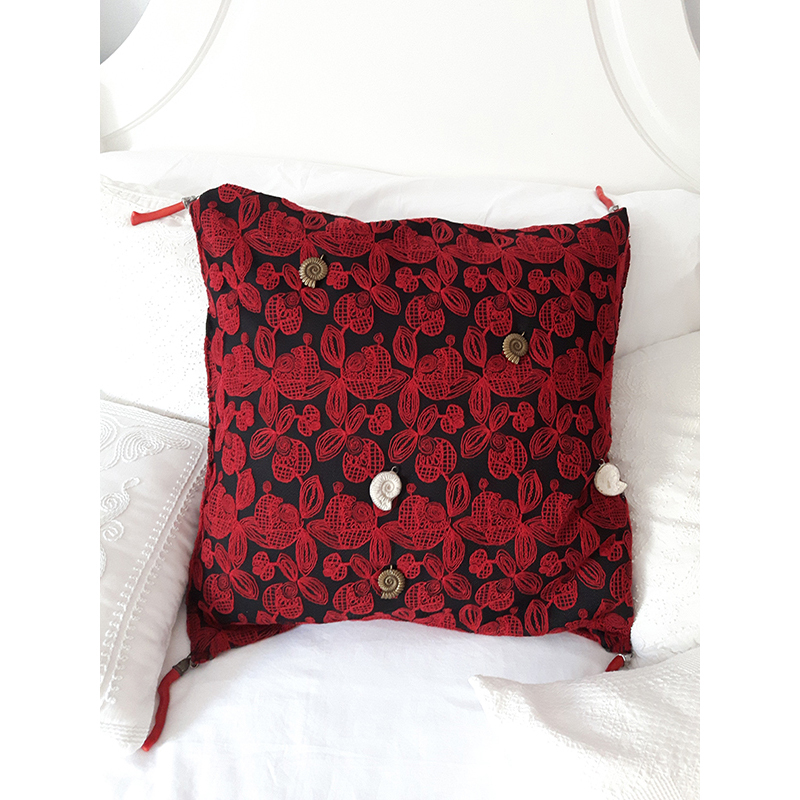 Decorative on both sides, two-layer cushion cover – delicate embroidered openwork motif in black and red colors, on black neutral backing. 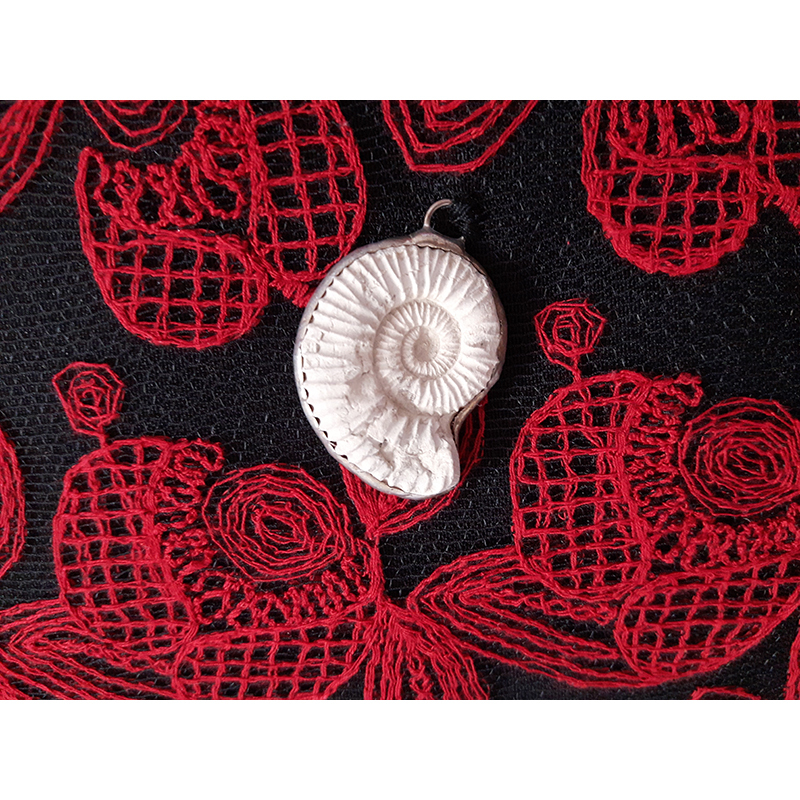 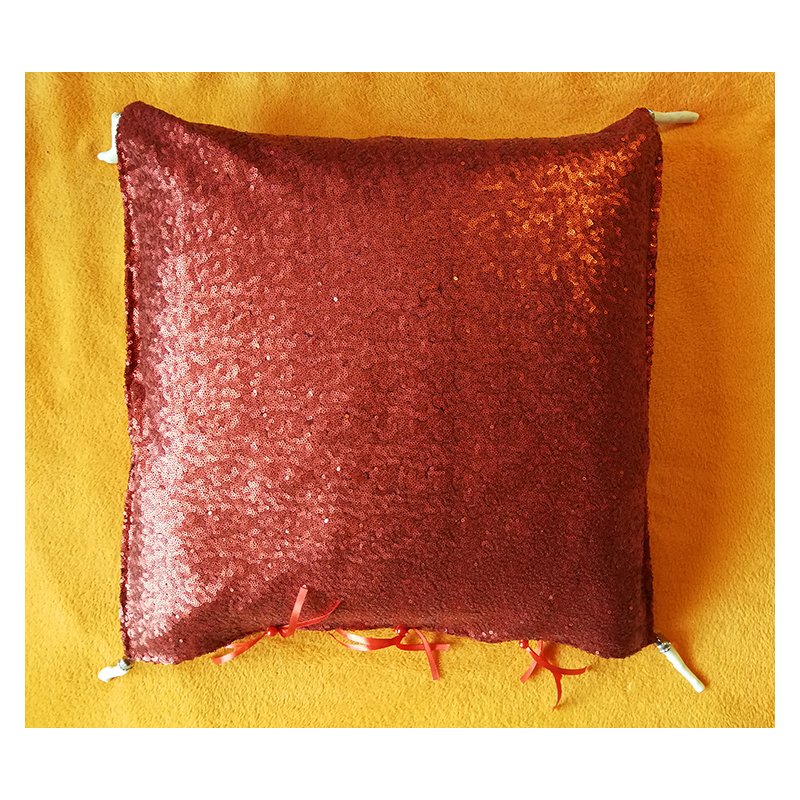 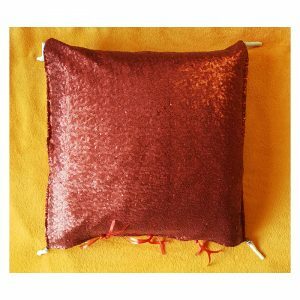 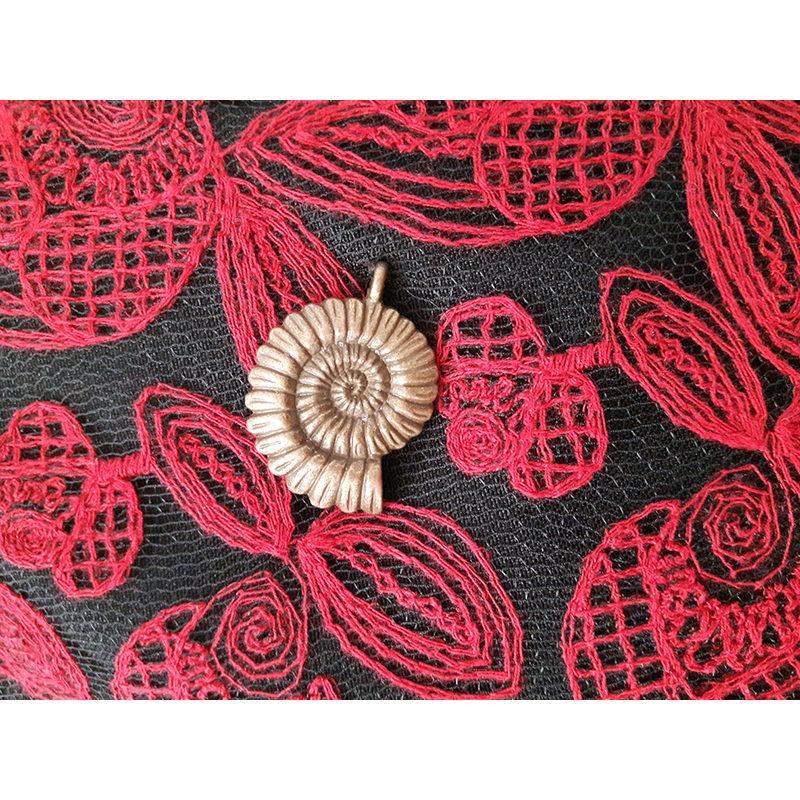 Natural, framed red corals, natural framed fossils and metal, stylized snail shells are sewn to the cover.